Once again we’ve all been spoiled rotten this Christmas with wonderful gifts, lots of love and good wishes. With a dollop of fine sunshine it’s been a very special day. 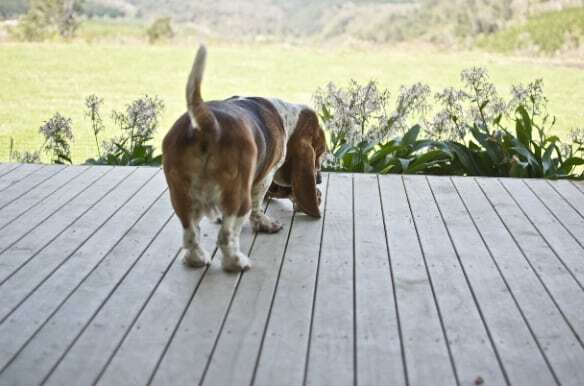 Much to the bassets dismay we settled for early morning tea on the veranda to enjoy the wonderful start to the day. Fortnum and Mason were hoping for a long lie in after having been kept up very late on Christmas Eve after our neighbours Doug and Cheyenne dropped in for impromptu drinks. Once we were all up it was hard to resist the bounty sparkling under the Christmas tree. 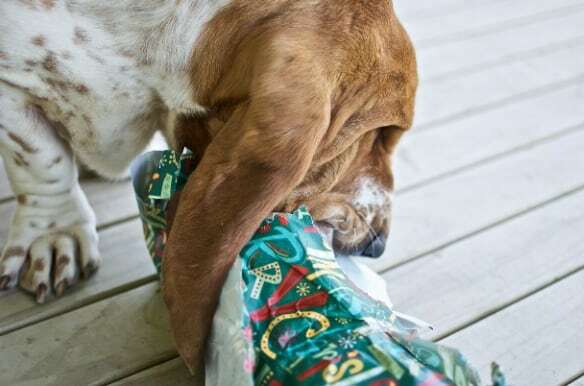 Mason was most definitely eager to reach his gift which he could smell through the wrapping. It wasn’t long before the presents were all unwrapped and we were engrossed in our gifts. 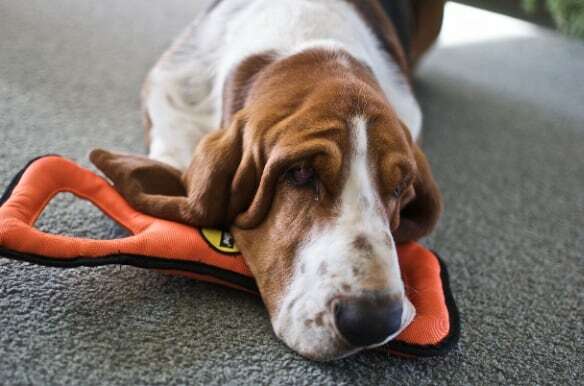 Fortnum was particularly happy with his toy and reluctant to give it up. Mason was still disturbed as there was still a parcel with his name on but that was for later. 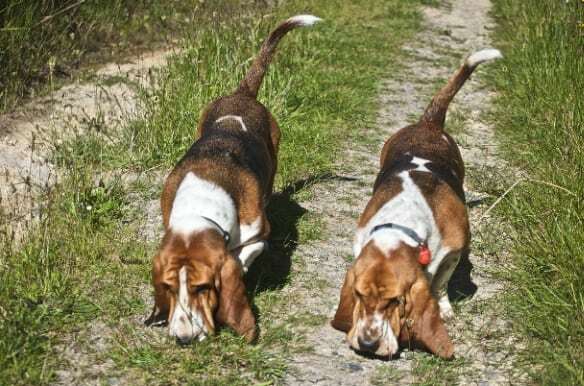 There were other sniffs to be had before the day got too hot for basset walking. 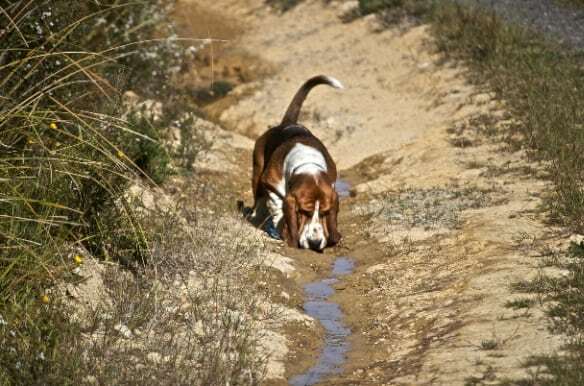 I just love to say that – “too hot for bassets” – a rare treat this summer! Big Basset still found time for a drink as he sniffed. A cooling moment! 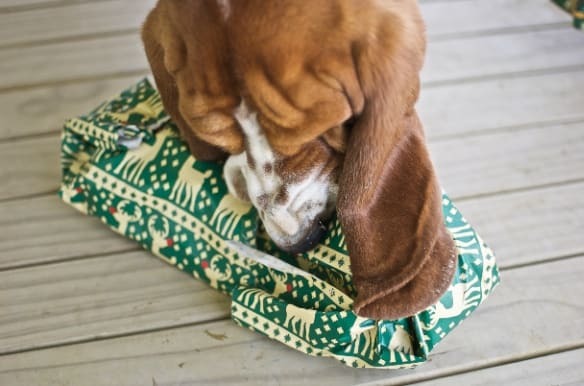 Back at base there were more treats for bassets who wasted no time unwrapping. Mason ripped into his without hesitation. You could just tell he knew what was in there. 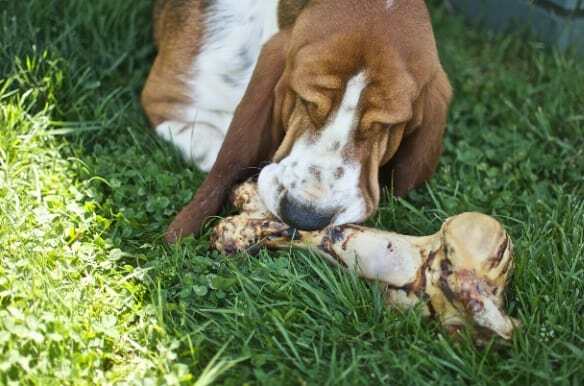 Now a dog needs some quiet to enjoy his treat. 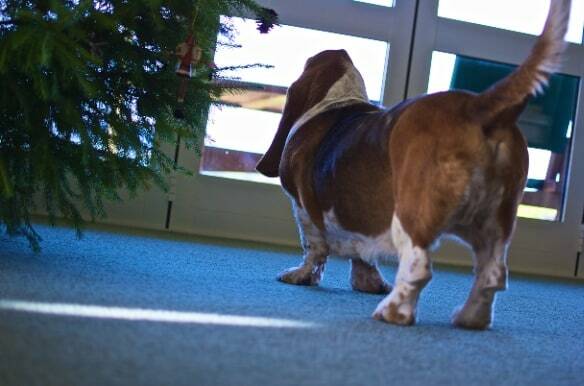 And big basset wandered off to find some shade and peace. 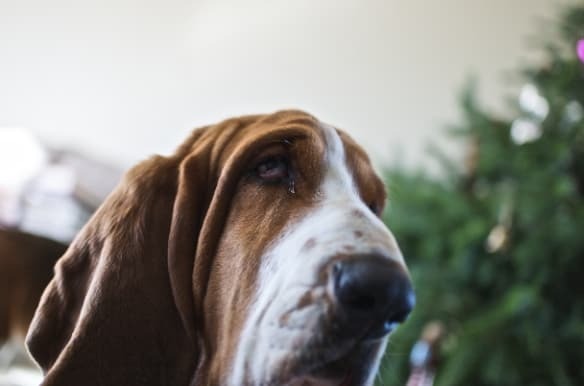 Like the bassets we’ve enjoyed our treats and found time to relax. The customary postprandial Christmas snooze took place en masse on the sofa before shaking ourselves down and heading up to our neighbours who were throwing a BBQ. “Grab some food” they said but our aching stomachs couldn’t oblige still full of our own Christmas feast. A simple but sumptuous Christmas. We hope that wherever you are and whatever your Christmas celebrations you had a wonderful time. Previous Post: « A festive view I’ve never seen before – yes summer has arrived! Sounds delightfully relaxing. I haven’t done our ‘Christmas’ post yet on the blog… I’m still recovering! We didn’t make it to bed till gone midnight on Christmas Eve and were woken at 5.30am on Christmas Day. It was great fun but there wasn’t much relaxing! I glad you all had a wonderfull Christmas. 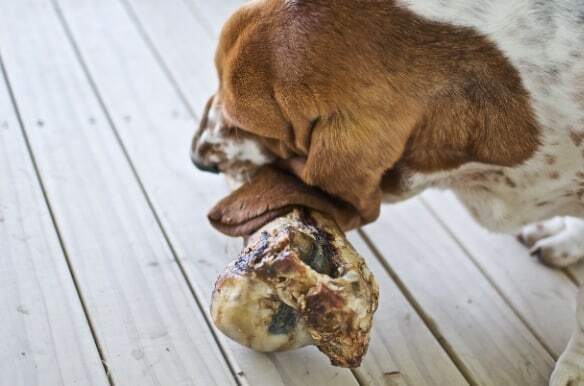 Those bones look delightfull. 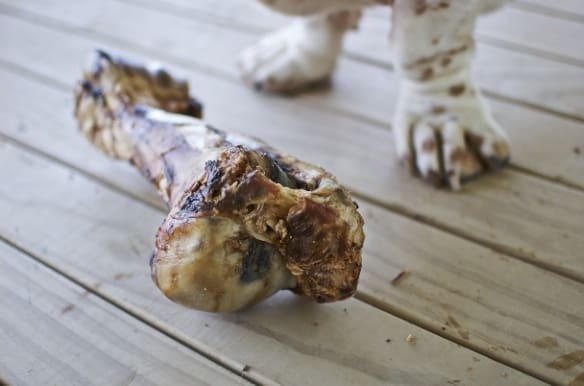 I used to get bones like that from the butcher and bring them home to slow roast in the oven for a few hours. LOL All the dogs would be lying in the kitchen drooling and waiting! !